From humble beginnings in 2012 this 7 piece Reggae band originated from a garage in Takapuwahia Pa Porirua. Jahnetix music comprises of an eclectic sound based on their varying tastes in music from Reggae to RnB to Funk, Soul and Hip hop to name a few. This fusion of music has influenced their unique Reggae sound with their youth, energy and enthusiasm complemented with their drive. 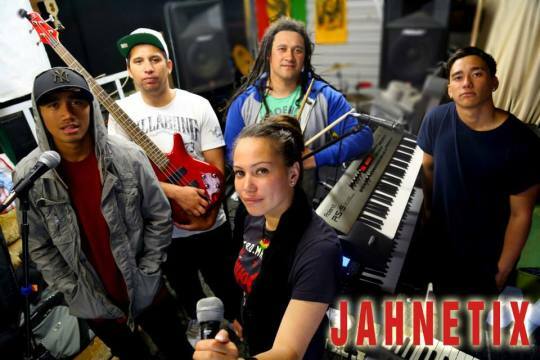 Jahnetix have currently released their debut album Fireburning and have plans to tour nation wide. Their positive message of Peace, Love and Harmony resonate from their cool grooves and conscious lyrics. This seven piece band is truly one to look out for in the upcoming future. "...one of the finest reggae rhythm sections in Aotearoa."